Frank Tieri reveals Spoiler will be showing up in BatO # 13. So with that in mind, yeah, Batman & The Outsiders # 13 sees a few other familiar Bat characters pop up. Man-Bat, for one, will play a very important role in this arc -- and fans can also expect Spoiler and Riddler to make appearances, as well. Teen guest stars galore! 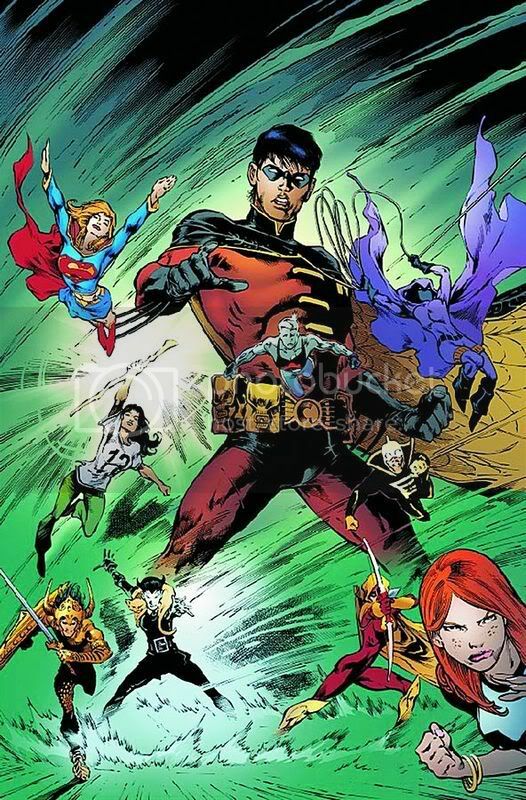 With only four members left, it's time for the Teen Titans to hold a recruitment drive! Who will make the cut, and who will be sent packing? Who will refuse to even show up, and who will bring a boatload of trouble with them?